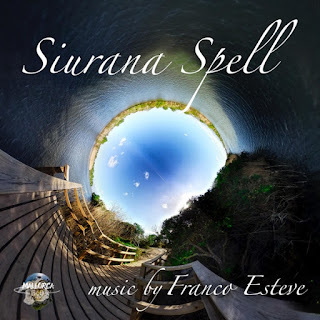 Siurana Spell is a new-age, single music release, originally created for the Mallorca 360 project's relaxing, 360º VR, Siurana Canal video, which you can watch and experience on YouTube here: https://youtu.be/7c00mddjprY or on VeeR here: http://veer.tv/videos/125623 or on their website here: https://www.mallorca360.es It's available now on CDBaby and soon on your favorite online music stores and streaming services.The song will also also be available later this year, along other songs created for the Mallorca 360 project, in a dedicated soundtrack album release. Siurana Spell is both meditative and relaxing while simultaneously evoking some classic, romantic themes I created. It was written specifically for Mallorca 360’s 360-degree, virtual reality video of the Siurana Canal in Muro, Mallorca, Spain, where you can relax and contemplate the canal’s beauty, virtually standing on the dock next to it. It transports you beyond the canal, and romantically lifts you to a loving and relaxing space.